Everyone in this technology ruled world knows about cloud storage. We use cloud storage to save our photos, videos and important documents for easy access to data and to keep them secure. One of the best and first cloud storage services is DropBox which was founded back in 2007. The service helped people in offices and businesses to incorporate easily. Dropbox provides you 2 GB of cloud storage space for free and the number can go up if you invite your friends. However, not everyone likes Dropbox and also, there have been a couple of security hacks with almost 50,000,000 accounts compromised. However, this is not the only reason to look for alternatives to Dropbox. The features of other cloud services are alluring as well. We have listed some of the best alternatives to DropBox which ensure better security, efficiency. Google Drive gives you 15 GB free Google online storage, which gives you the freedom to keep your documents be it photos, designs, recordings, videos or any other thing. You can access your files on any platform be it Windows, Mac, Android or iOS. Google Drive brings Google Docs, Slides, Sheets and, an office suite which enables you to create and edit your documents, spreadsheets, presentations, drawings and more. If you write often, you will love Google Drive as Google Docs has speech-to-text functionality. You can access your files anywhere, whether it is your smartphone, tablet or computer. You can also stay productive even when you are offline. OneDrive keeps your files and documents save with SSL encryption. You can share your documents by just sending a link to email, text, iMessage, and Facebook. You can secure your files and photos by setting an expiration date for your sharing links. It makes it easy for you to access files on your laptop, smartphone, and web. You can easily share and collaborate with your friends on every file. It keeps your files and documents secure with TLS/SSL encryption. You can get previous version files as pCloud stores previous version files for a specific period of time. You can upload any file of unlimited file size directly to your account. It is a business service, which also offers personal cloud storage. The interface and design of the app are very clean which makes it easy to use. You can share files and documents safely and easily. It lets you upload files like photos, videos, documents, music anywhere on any device. You can share your file via link, email and social media. You can share and collaborate any type of file with your friends and colleagues regardless of the size of the file. Mediafire supports the remote upload feature. 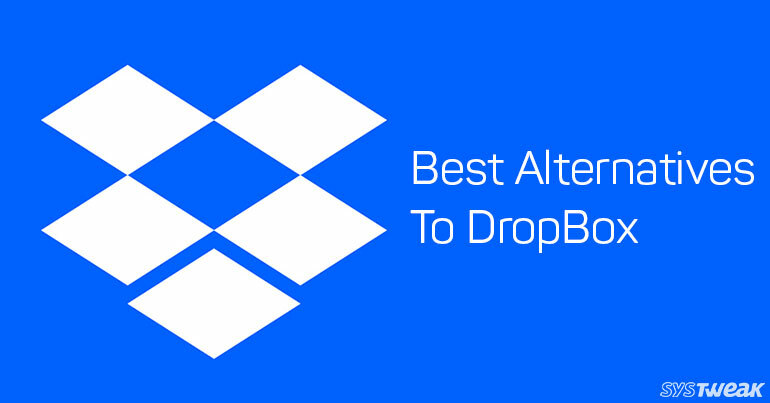 This concludes our list of best alternatives to DropBox. Try them, as they also offer considerate amount of free storage. We would love to know your favorite cloud storage in the comments section below.